Designers Amanda Ross and Alex Al-Bader have collaborated to marry the former's Upper East Side lifestyle with London's vintage sensibilities - the result is ARoss Girl x Soler's chic take on tea dresses, like this 'Amanda' style. 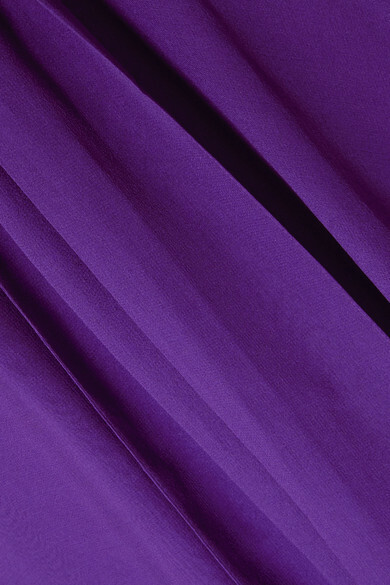 It's cut from weightless, floaty silk-georgette in a pretty violet shade that will work for day or evening events. Cinch the sash belt over the comfy elasticated waist to flatter your frame. Shown here with: Loeffler Randall Tote Bag, Jimmy Choo Sandals, Isabel Marant Earrings.